It is likely that they were hit with a Distributed Denial of Service (DDoS) attack, the most commonly used method by hackers to cause disruption to websites. It works by flooding the servers with traffic, overloading them, and subsequently causing the servers to crash, or become otherwise unreachable. “Want to really help Wikileaks fend off attacks? Send us money to pay the bills. Many people x $5 = strength,” said Wikileaks in a subsequent tweet, trying to use the situation as an opportunity to get more funding. 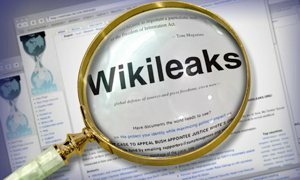 The release of communications has drastically increased recently, and a recent blunder by Wikileaks’ founder Julian Assange, which saw the release of over 250,000 uncensored US State Department communications after the trusted key to an encrypted file online was somehow published, has certainly drawn more unwanted attention. It’s still unclear what the motives of the hackers were, or who exactly is responsible as nobody has come forward to claim responsibility for the attacks. But it’s likely in response to the increased release of communications — not helped by the blunder by its founder. Widely known hacking groups Anonymous and Lulzsec have been publicly voicing their support for Wikileaks, so it’s unlikely either of them are to blame, especially given the fact they have targeted payment companies in the past for preventing the whistle-blowing organization from receiving donations. The main site wikileaks.org is back online but is clearly still having some issues (it was unreachable during the writing of this article). Wikileaks has said that these connection problems are related to a DNS cache issue. ⟵iPhone 5 giveaways on Facebook – a scam or what?